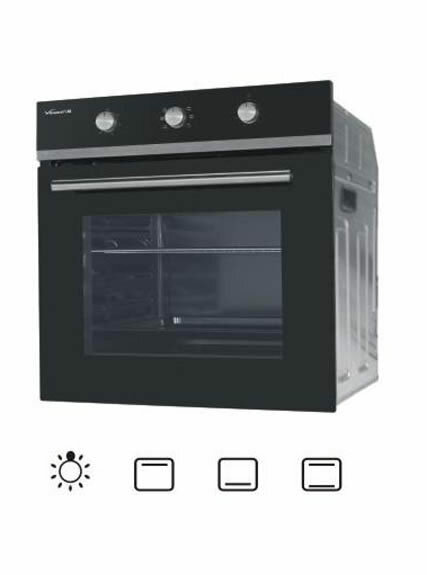 Vanward build-in electric oven, powered by electric energy, features meticulous design, state-of-the-art technology and top quality materials. As a China baking oven manufacturer, we provide a wide assortment of models, including convection, fan multifunction, fan-assisted multifunction ovens, representing the excellence of Chinese products terms of aesthetics and functions. 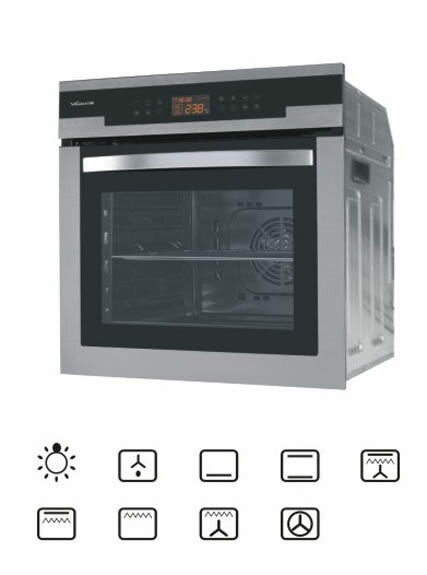 Our electric ovens save you a huge amount of time and energy. 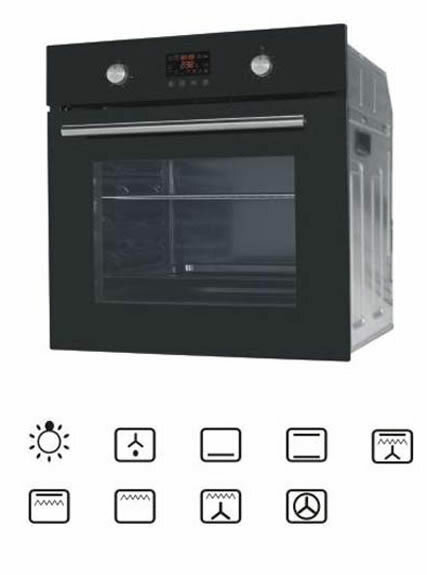 Available in different specifications and designs, all our baking ovens can be teamed with other appliances for coordinated kitchen interior design. 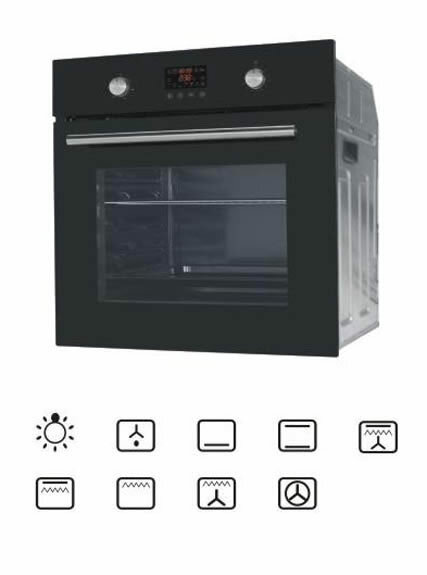 With our new technological advances and powerful R&D capability, as a China baking oven manufacturer, we are capable to offer the satisfactory built in ovens. 2. The elements combined with the fan aim to provide more uniform heat distribution. 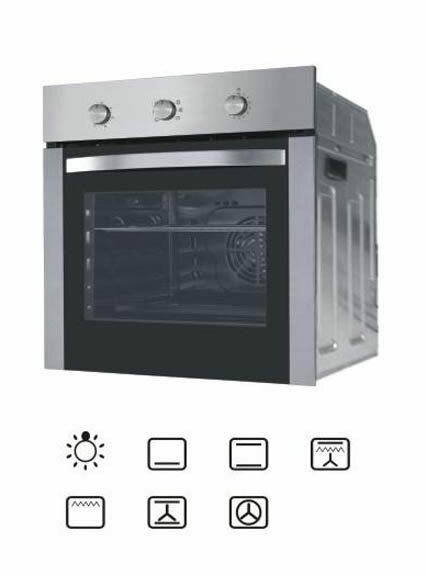 Build-in electric oven is designed with air outlet. 3. Equipped with warming cook top element to deliver heat to keep food warm until you are ready to serve. 4. With soft touch switch and the ease of cleaning. 5. 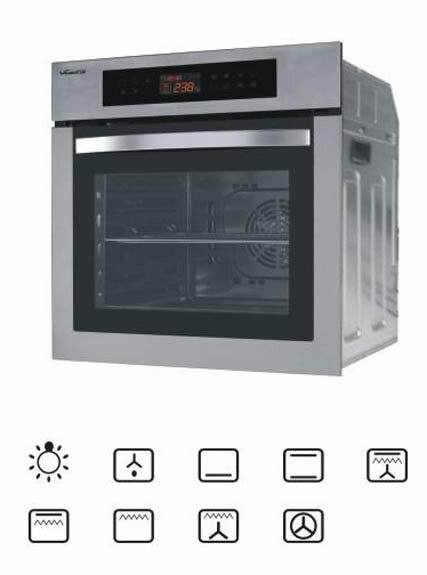 Cook whole meals quickly with this electric oven series, which features 8 elements, including a warming zone, and a spacious oven cavity. 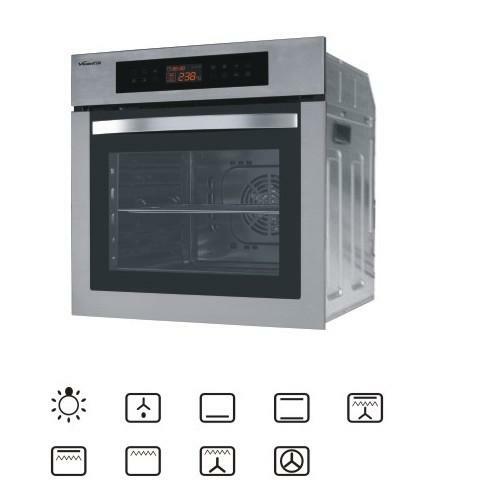 The true convection system circulates air through the oven to ensure fast cooking times. 6. Cooking temperature and duration are adjustable depending on user’s wish. 1. Set the time and temperature of baking oven before the cooking. The timer will sound an alarm when the set time has lapsed. Turn over the cooking foods for even heat distribution. 2. Wait until the "Preheating” light turns off. This indicates that electric oven is ready for use. 3. With hot-surface and heating element-on indicator lights: Show you which elements are on and which elements are too hot to touch for safety. Use heating pads to protect your hands and place the food item in the oven on the racks provided. 4. Keep the build-in electric oven interior clean: Once the oven has cooled, use a soft dishcloth moistened with water and dish washing detergent to wipe away spills. Prevent the heating elements from getting damp. 5. When not using, please turn off the power, temperature, and time switches off. Place the in a dry, clean and ventilated place. 1. Only spray and clean the interior of the electric oven after it has completely cooled down. 4. Use a soft and wet cloth to clean the exterior of the baking oven. 5. Use a soft cloth with dishwashing liquid to clean the oven surface. 6. Avoid water leaking inside the oven, which may cause damage to electrical parts or risk of electricity leakage. 7. Do not directly put the electric oven in water for washing. 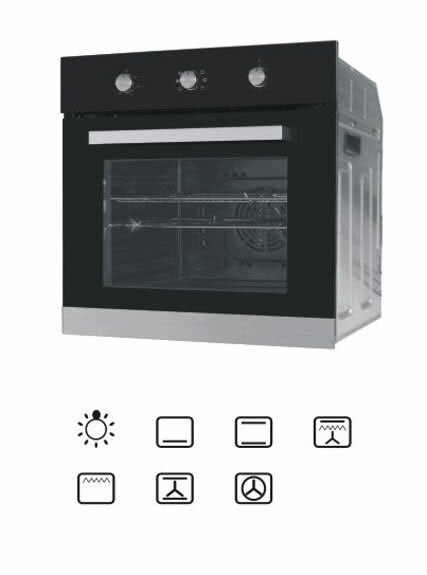 The ovens produced by our company are high quality and competitive prices to meet the needs of customers. Your inquiry of built in ovens is warmly welcomed.